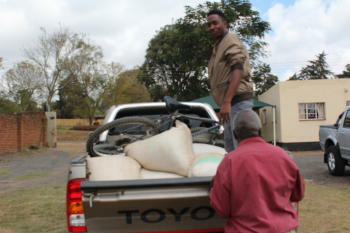 During the last week of August 2016 LifeNets representatives have been distributing maize that we have stored and are making available to families. 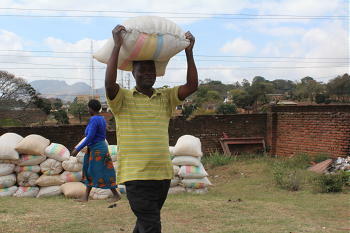 There have been a few years of drought and we fear low yields bringing high prices. 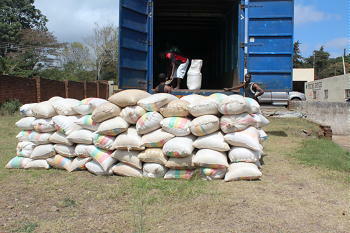 So, in June we purchased stocks of maize for distribution now. 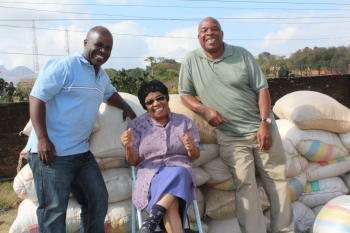 Mrs Chipilingu and her grandson posing with Gracious Mpilagwe, pastor of Blantyre. 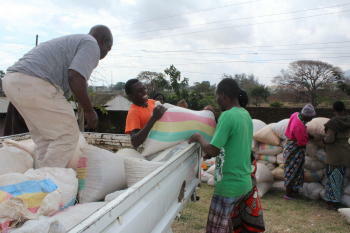 The distribution of maize went on very well, only three families are yet to collect their bags. 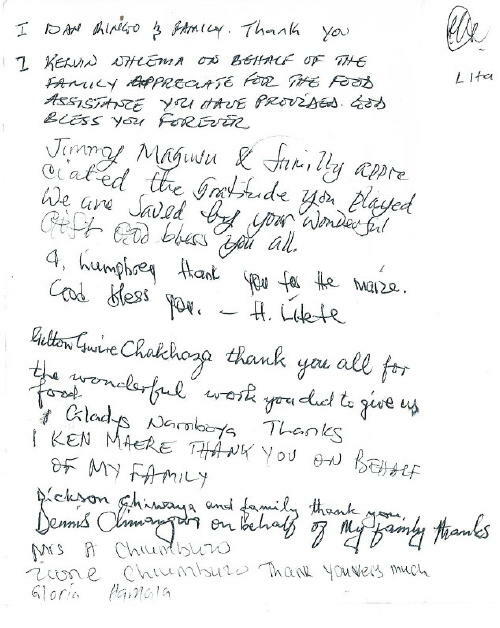 I, Gilton Gwire Chakhaza and my grandchildren living with me here,send our profound gratitude and million thanks to you! 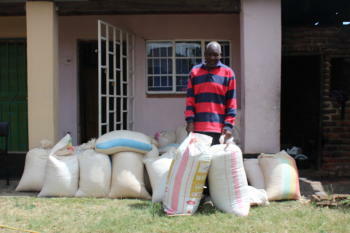 On 24th august 2016 ,we received bags of maize which will take us up to next harvest. This has been my great relief. Please accept my thanks. GILTON."